Read below to see what my clients have to say about my services! Rick helped me in making the purchase of my first home. He was knowledgeable, very responsive and helped me every step of the way. I would recommend Rick to anyone and I wouldn't call anyone else if I ever decided to sell or purchase property again in the future. Rick Gullo is extremely helpful and professional. He is great at communicating and offering good advice. Our family had an unusual need for a house with an in-law suite. Because we were combining houses our negotiation was a little tricky. Rick handled everything perfectly and was in constant contact with my husband and I as well as my mom and her realtor. Because of Rick’s responsiveness, we had a smooth transition. I had my initial meeting to discuss the sale of my home with Rick the end of January 2013. He came prepared with a detailed market analysis of the houses in my neighborhood that had recently sold and those that were currently listed for sale. He gave excellent guidance in helping to determine the best price for the current market not giving me unrealistic promises. After securing the listing, Rick immediately marketed my home on various websites. The on target pricing and the right marketing, in turn, generated a tremendous number of potential buyers to view my home. Within the first three days, we were receiving multiple offers and he was exceptional in handling the negotiations. Before the first week was over I accepted an offer that was over my asking price. I thank Rick for his professionalism, his outstanding skills and for keeping me informed every step of the way. He made the emotional process of selling my home much easier. There are many good real estate agents in the South Jersey area. I worked with Rick, the best of the best, and recommend him to everyone in need of a real estate agent. Rick was an awesome person to deal with. I was helping my brother who had a stroke with the process of selling his house. I live out of state and Rick was very helpful in keeping both my brother and I informed each step of the way. The home was an older home and Rick did not insist we invest a lot of money into it. He listed the home and marketed it well. Within one week he had multiple showings, multiple offers, and accepted an extremely good offer. The settlement was quick and Rick was on top of everything the whole way. I feel he is the best realtor I have ever worked with. He makes his clients feel like they are the only people he is focused on. I feel that his knowledge of real estate and buyers is what made this a successful sale. I would not hesitate to recommend him to anyone. enjoyed working with Rick, very professional, ..took charge and got things done quickly.I would recommend Rick Gullo to others that are planning to sell their home. He had all the answers to my questions, and it turns out to be a smooth transaction. Rick is extremely responsive, knowledgeable, and most importantly reliable. Throughout the process, we knew we could count on Rick to follow through and champion our best interests. He's a pleasure to do business with. He was an excellent Agent. Very Patient and never pushy. He has become a true friend!!! Rick was the most hardworking and friendly realtor I have ever worked with. He was willing to show us houses every weekend for over 2 years. He encouraged us throughout the entire experience to never settle for anything. He taught us to wait for the "Perfect House" and we finally found it. You will never find a more honest and motivated realtor on the planet! We chose Rick through a recommendation of a family member and we couldn't be happier. Rick was a great Realtor to work with because he was always available to us and bent over backward to help us sell our house and find a new home. Rick got us through some bumpy roads as well and for that, we are very grateful. He is very patient and offers as much advice as he can when going through the process of purchasing/selling a home. You definitely can't go wrong in choosing Rick Gullo as your Realtor. This was the smoothest transaction ever!!!! In less than two months, we found the perfect home and were moved in! Ricks experience and honesty relieved us from any stress as he represented and protected us in all facets. His dedication to his clients is exceptional and in our opinion rare. Thank you, Rick, for everything!!!!! I cannot complain at all with the work Rick has done to get our house sold and get us in a new house. We sent him an email on a random Sunday afternoon asking that he assist in selling and buying and he literally called me about 5 minutes later...ON A SUNDAY!!! Within 2.5 months we had our house sold and we were moving into our new house. Rick was very patient. We spent a few months looking for the right home, and Rick wouldn't just sell me a house; he wanted to sell me a home. I highly recommend Rick; he worked with me to look at houses when it was convenient for me; which was usually weeknights and weekends. My fiancé and I will be selling our old home in February or March and I will be using Rick again as our selling agent. This gentleman is a top-notch realtor. He went above and beyond. He completely understood our needs and desires since we were helping our daughter with buying her first home. Not only will we recommend him to others, if we have any future needs in the housing market, he will be the only realtor we'll call. HATS OFF! Rick was a great person to work with! He communicated frequently, was always friendly and was always available to answer my questions. He consistently went above and beyond my expectations. I'd highly recommend him to anyone! I would highly recommend Rick. Rick helped alleviate the pressures associated with being a first-time buyer. The comfort level he provided was invaluable. He set up all of the inspections and remained in constant contact throughout the buying process. He negotiated a substantial decrease from the listing price and made sure that additional money was provided by the sellers for a major repair. If you need help buying a house, Rick is your guy! Rick was the best realtor I have ever had the pleasure to work with. I would and I have already spoken about him to various people, both friends, and family, who are going to be selling and buying. They will all be using Rick Gullo. Great guy and again, a pleasure. Rick was very helpful with everything I needed if I asked him a question he knew the answer right away or was very quick to find out what I needed. Rick was also very resourceful, this was my first time purchasing a home and I had a lot of questions about who to call, what companies to use for inspections, title transfer, etc. and Rick guided me in the right direction with everything I ask of him. He was also always on call when I needed to talk to someone because I was facing a roadblock I could call Rick at any time. I have dealt with many agents over the past 2 years and Rick was the best agent I have worked with. He was always a pleasure to be around, was always on time, and very knowledgeable about his work. I will recommend Rick to everyone that is buying or selling real estate, and I look forward to working with him in the future. I am very happy with the realtor that help me out (things that I needed to have I got them right out to them) He was right on the money with everything I needed I was very pleased with his services. Could not have asked for a better experience. A ++. It was a pleasure working with Rick Gullo. The process would not have been so positive if Rick was not involved. He is very knowledgeable and an excellent real estate agent! Would highly recommend him. The best part about working with Rick was how patient he was with us. We never felt pushed or persuaded into any of the multitudes of homes we had seen. We worked together on and off for about two years as we looked for the right home, and were always treated seriously. Rick is very quick to respond to emails, text messages, and phone calls throughout the entire process. We would highly recommend him! My experience purchasing a home was very pleasant. Mr. Gullo did a great job researching homes for me so that I was able to find the home that best suited my needs at a price that was affordable. I would highly recommend him. Rick Gullo made the process of buying a home easy and the best experience possible. I have bought and sold many houses and Rick is by far the best real estate agent I have ever worked with. He answered every phone call (and we made plenty), answered every question, no matter how trivial, (we had a lot of those too). He worked very hard for us and is a true professional in the real estate industry. He made the negotiation process easy and simple. 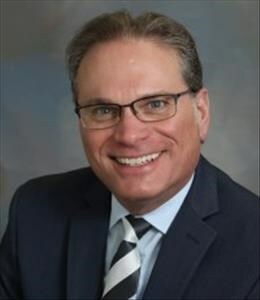 I would highly recommend Rick to anyone looking to buy or sell real estate in South Jersey. Rick was very professional and prompt in addressing our requests for meetings. He performed a market analysis of the property and his estimated sales range was accurate. I would highly recommend Rick Gullo to others looking to sell their property. Rick is an exceptional real estate agent. It was our first time purchasing a house and he helped to make the process as easy and smooth as possible. The market was just beginning to take a downturn. Mr. Gullo discussed selling strategies and realistic expectations. While many homes languished for months on the market, he helped to sell mine within two months of listing for a decent price that nets a profit. Reliable, practical, helpful Realtor. I would rate him six stars out of five! Rick Gullo is by far the best realtor! My husband and I worked with Rick for over two years looking for our dream home. We were very picky and specific about what we wanted and even indecisive at times. Rick was beyond patient with us when I think most other realtors would have given up. He spent endless hours showing us house after house… AFTER HOUSE, until we finally found what we were looking for. Throughout the entire process of making an offer, going under contract, requesting repairs, and going to settlement, Rick was a true professional. It was not an easy process due to some issues with the seller and the investors that owned the property but Rick handled everything and made our interests and requirements his priority. He kept us completely informed on everything the whole way and always had our backs. Going to settlement was bittersweet. We were beyond excited to finally own the home we had been searching for but saddened by the fact that we would no longer spend our weekends with Rick looking at properties. I will always recommend Rick to anyone and everyone I know who is looking for a realtor, you simply will not find anyone better. We worked with Rick for 9 months. He is a very pleasant, polite, knowledgeable, patient person. We now not only have an agent, but also consider him our dear friend. We are sure whomever he works with will also feel the same way we do. I had an immediate response from Rick Gullo concerning the sale of my Aunt's property. Rick gave me great advice, took wonderful pictures of my Aunt’s home, and I would recommend him. Tough market, tough neighborhood to sell in...but he was able to make the deal happen. Was strong and persistent in a professional way with a very difficult buyer's agent. Appreciate how he took the time to walk me through each step of the process. Was there when we needed him as we lived out of town when our house was for sale. Did us a lot of favors for us and went above and beyond what a realtor usually does. Would definitely use him again if we ever need a realtor in NJ. Very professional and courteous. Rick assisted me in the sale & purchase of several properties over the past few years. I always found him to be honest in his representations, very knowledgeable of the market & never pressured me in any situation. I will certainly have him represent me again in any future transactions. Amazing. We loved Rick! We would recommend him to anyone and we will go back to him with any of our real estate needs in the future. He went way beyond what we expected. He was thorough...he was patient...he didn't offer us less service even though our price range was low. Choose Rick! We were shopping around for a house for many years either online or through friends and family that were agents, but Rick Gullo was the only agent who seemed to understand us. Every question or concern I had he always responded to immediately and correctly. Even now I don't hesitate to ask him things having to do with being a new homeowner. I would definitely recommend Rick, he has never steered us wrong. As a first time home buyer, no one could have been more helpful, attainable, or professional. The best out there. Rick Gullo was very pleasant to work with. We have no complaints at all. The transaction which took place was straightforward & uncomplicated & routine so there is little to judge but nevertheless we were satisfied with Rick. I entered this office as a cold customer. Rick provided the necessary information and within weeks he had results. Settlement was clean and fast. He really came through when the market wasn't showing anything positive. Thanks, Rick. Rick was very friendly, also he always listened to our needs, it wasn't about his commission but it was about what's best for me and my family. My sister and I had to sell our mother's home due to moving into a nursing home. Rick was very helpful and shared the experience of selling a home through Social Services. It was a difficult time for my sisters and I. Rick was always excellent in everything going smoothly. Last year he sold my husband and my home. My son bought the house. Rick work in behalf of all of us. Again all the little and big questions and time spent went smoothly, resulting in a happy experience for all. Very cordial and easy to work with. Kept us up-to-date with telephone calls and emails. Was very thorough with his explanations of the selling and closing procedures of our property. If anyone asks I would highly recommend Rick Gullo.